Hi everyone!! 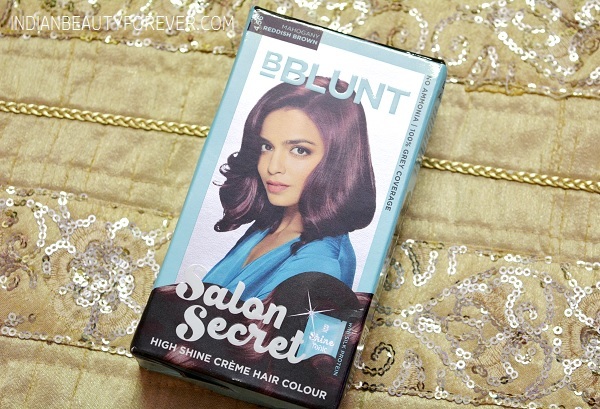 I have this mini pack of BBlunt Salon Secret High Shine Crème Hair Colour which is only for 89 rupees. Yes, this is that cheap and this small pack is just perfect for the roots touch ups and for men as well. 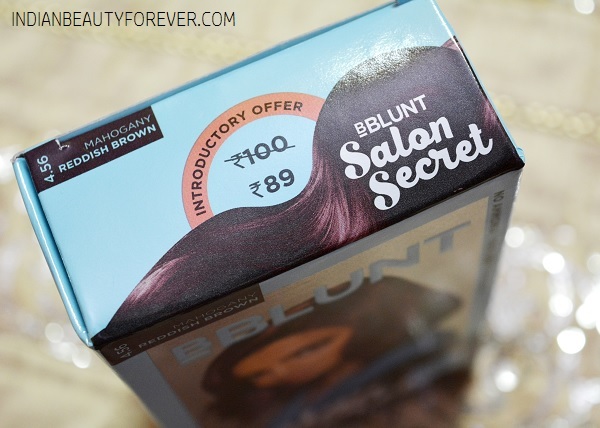 I really like this brand as BBlunt makes so many hair styling products that you will not feel that there is something that is not available with them, when it comes to styling the hair. Moreover, the products are of high quality and also have reasonable prices. 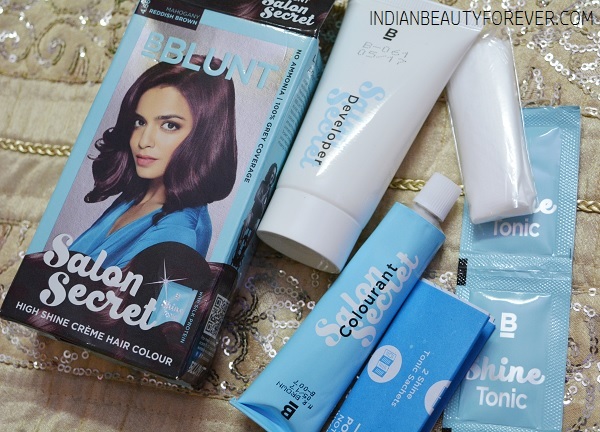 I have used this hair color few days ago and as I am not keeping up well, I am not able to review on time dearies. Anyways, I have this shade called Reddish Brown that is no 4.56. 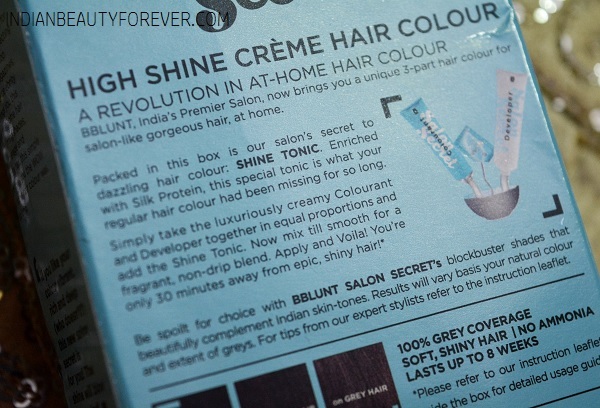 This hair color comes in a blue carton where in you will get a white tube of Salon Secret Developer and a metallic tube of Colourant. There are two small sachets of shine tonic as well. 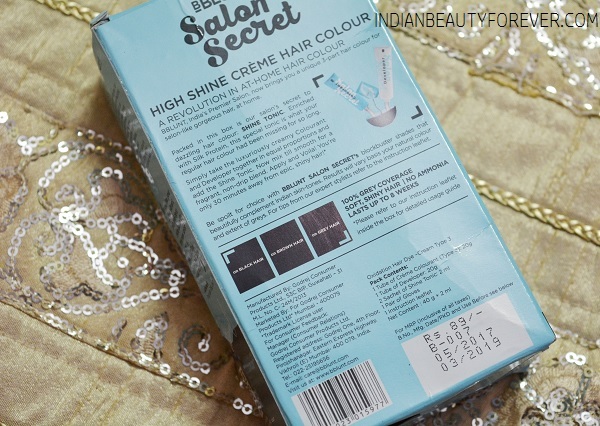 The work of shine tonic is to impart a healthy shine to the colored hair and it also makes the hair healthier looking post washing the hair color. In short, when you use a color like this, you won’t feel the need to use a lot of styling products soon after coloring the hair. Mixing the color for hair dying is really easy. Just squeeze both the tubes in a bowl and mix everything well then cut open the shine tonic sachets and mix the contents well with the help of coloring brush. There are gloves also in this trial pack so, wear the gloves to protect the hands from getting stained. 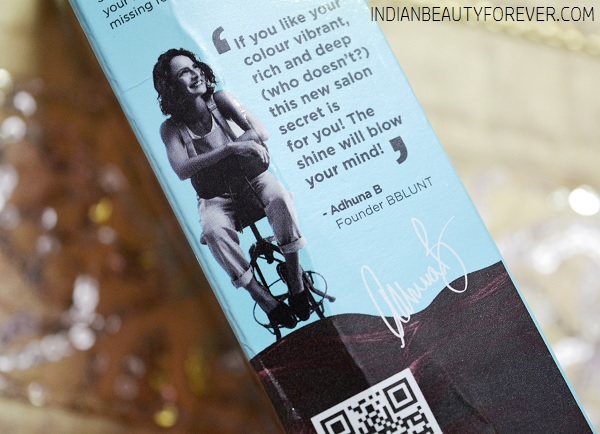 After applying the color it takes around 30 minutes for the hair color to give a rich vibrant color to the hair. As this was a small trail pack, I only used this on the top of my head. 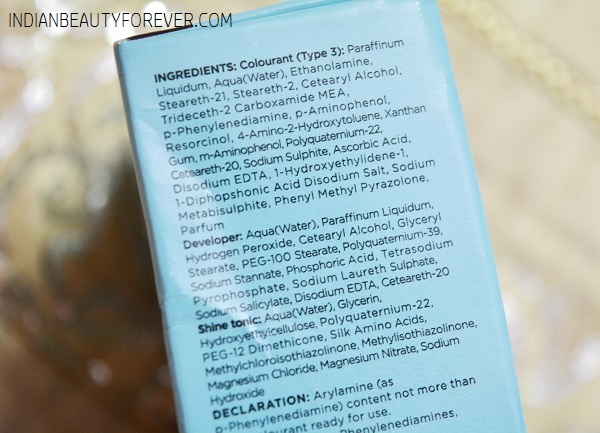 I do not have grays at the moment but as the hair grow, you can notice a slightly difference between your natural hair and the colored hair at the bottom so I just used this on the top part or the roots. Overall, the color is extremely inexpensive and offers good quality. It is one of my favorite. 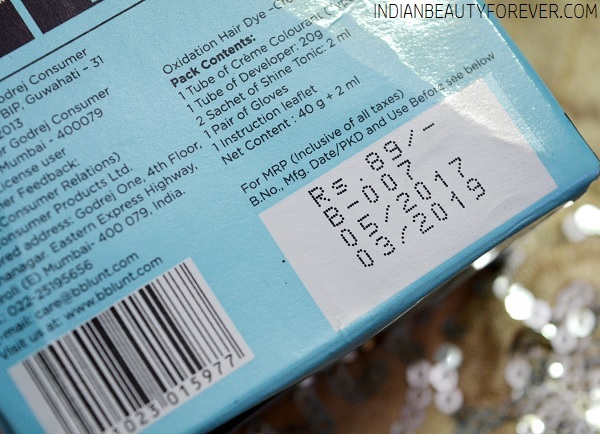 Even my husband has used this color, the same mini pack he bought in the dark brown shade. I will recommend it to everyone who likes to color their hair at home. 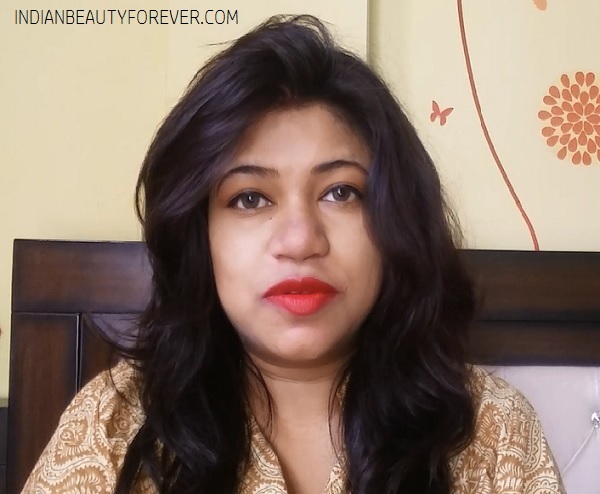 The shine tonic is good to have those shiny locks and I feel that post using, this also makes the hair smoother and silkier, not in the miraculous ways but it does. Your hair looks so healthy and full of shine.